Mr William Redic writes to let us know about a about a new, free application for the Apple iPad which may be of assistance in the training of new altar servers for the Traditional Latin Mass. Back in 1995, he produced (under the auspicies of Una Voce Pittsburgh) an audio cassette tape of the Latin prayers and responses of the Mass. On Side One both the priest’s and server’s part were heard. The apprentice server practiced by reciting the responses along with the voice of the server on the tape. With Side Two of the tape, the new server would test himself. There, only the priest’s parts are recorded, and the server practiced by reciting the responses alone. Over the course of several years, hundreds of the tapes were sold by mail order, with virtually no advertising. In 2001 or so, the Pittsburgh Latin Mass Community Inc. began distributing the same recordings on audio CDs. The recordings and accompanying pamphlet have long been available for free downloading from the Internet, at UnaVocePittsburgh.com. 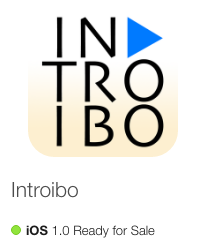 Last summer, the same recordings were be integrated into an application for tablet computers; as of September 3, 2016, the first version of this new app, named “Introibo”, was released to the public in the Apple App Store. It costs nothing, and can be installed on almost any iPad (those running version 8.0 or newer of iOS; that covers 97% of iPads, according to Apple). If you’d like to see screenshots of the Introibo app, please visit this page: two5two.com.